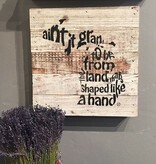 The ain't it grand to be from the land that's shaped by a hand sign is a phrase created by Heavenly Metal owner Vicki Honeyman and friends in the 1970's. 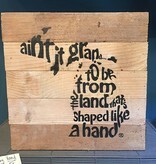 Our love for the Mitten State! A former Heavenly Metal employee created the way cool graphic. 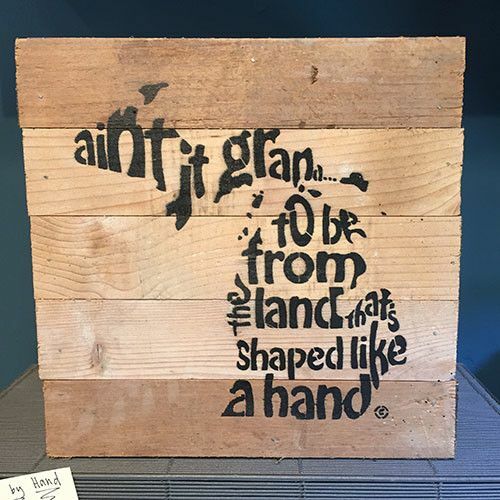 Second Nature by Hand puts it on reclaimed wood, which means every piece is unique. 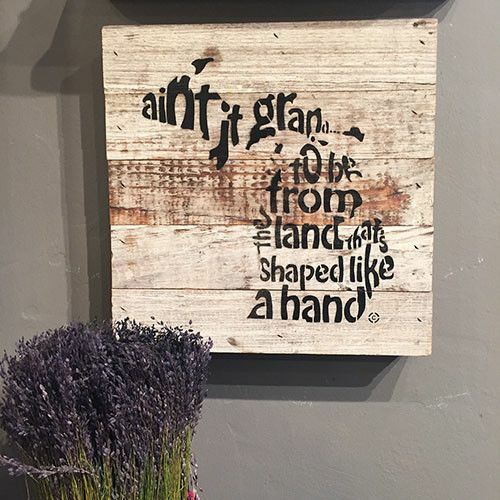 We love sharing the story with our shoppers.